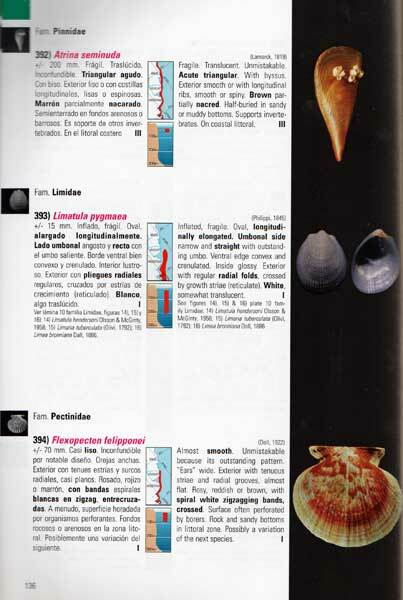 This is the long awaited companion volume to Forcelli's earlier Moluscos Magallanicos (unfortunately now out of print) which covered the marine mollusks from southern Argentina, around Cape Horn and into southern Chile. 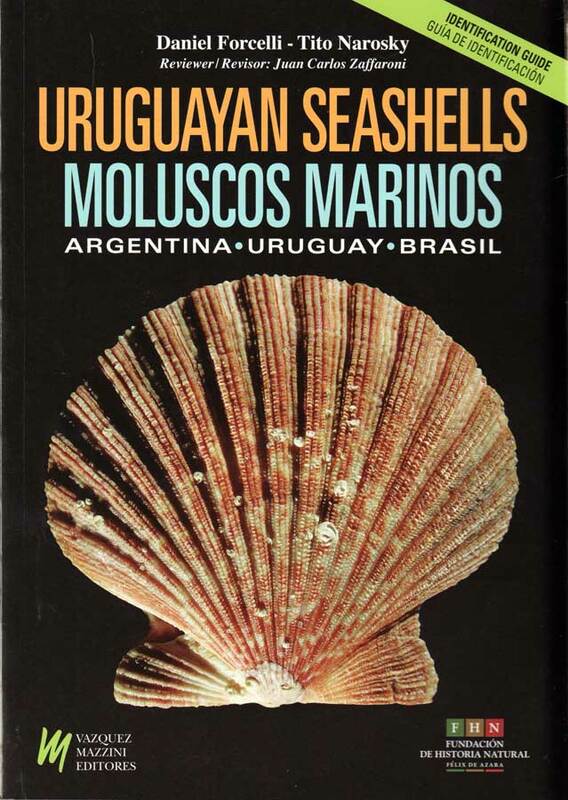 The new book covers the mollusks found off Argentina, Uruguay and Brazil. There is some overlap in the shells as you'd expect but the new work is far more extensive and contains many more species found in these waters. 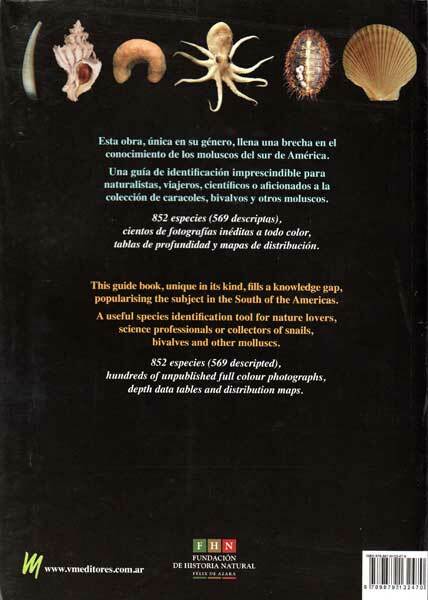 The book is well illustrated and there are maps and benthic distribution guides shown along with the information and the photos of 569 of the species and another 283 species are illustrated and named but not described. 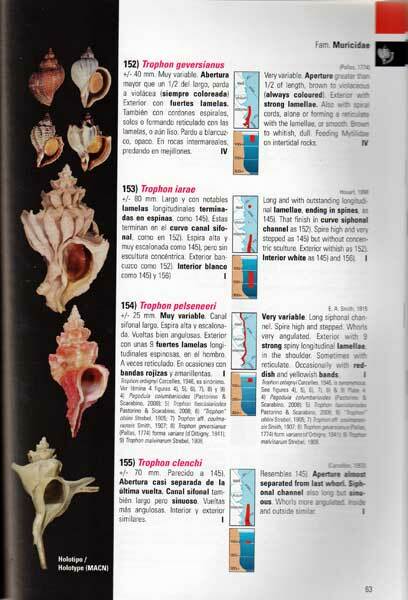 The authors are experts in their fields and in addition to the work of Forecelli and Narosky there is a very interesting and useful appendix by Juan Carlos Zaffaroni with his comments on the mollusks that have been reported elsewhere as coming from this region but are either erroneous or doubtful. This is a very important work, extremely well done, and it is without a doubt the best work done on these south western Atlantic marine mollusks.